Step up your game with a high performance shoe at a mid-level price. The Women's Espada Road Shoe is designed for efficient power transfer and exceptional comfort. 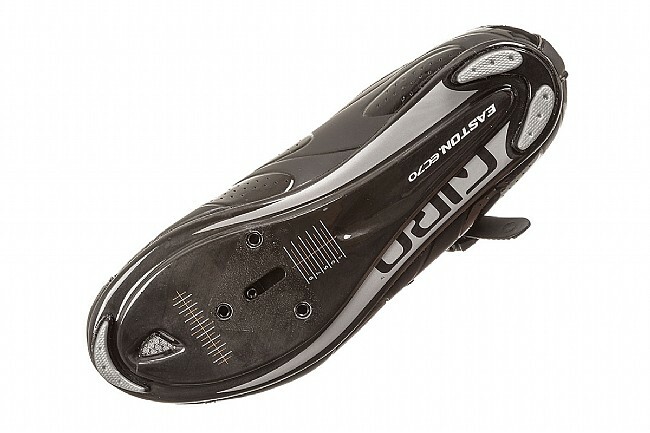 For the upper material, Giro uses a breathable, lightweight microfiber which conforms to the shape of your foot for a nearly custom feel, while the sole is made from Easton ® EC70 carbon fiber -- this super stiff, incredibly light material provides instant power transfer from your foot to the pedal. On the inside, the SuperNatural footbed cushions and supports with cycling-specific padding and three included inserts which allow you to fine-tune your shoe's arch support for a perfectly tailored fit. Giro has also added X-Static, an anti-microbial fiber which helps reduce bacterial and fight odors. Two wide off-set straps and mid-foot D-ring ensure a secure fit while helping eliminate pressure points. The ratcheting buckle (replaceable) offers even further fit adjustment. The Espada weighs 245 grams in size 39 . Compatible with standard three-bolt Road cleats. 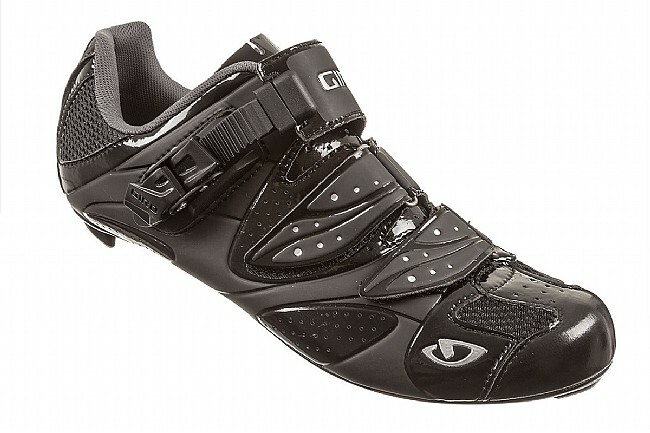 I used to only wear Sidi shoes but decided to give these a try. I really like them. Very thin and stiff sole and very light shoe. 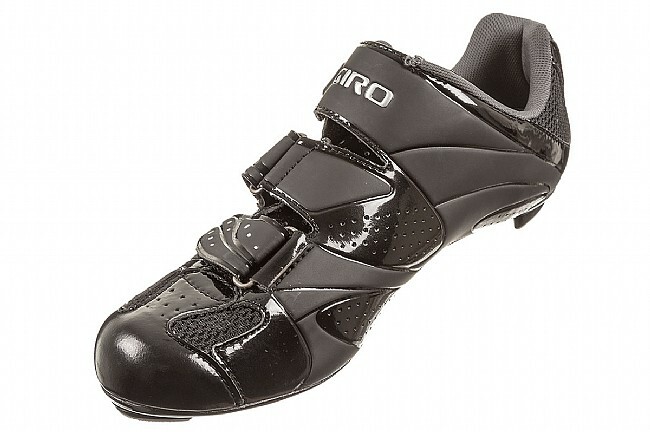 They fit true to size and aren't quite as narrow as Sidi which fits me better in the toe box. The arch inserts are nice too, I put the middle ones in and they worked for me, but it is nice to have a way to make them fit better.